A quick stop at Niagra Falls while competing in Canada! Will on the podium at Devils Glen in Ontario with Redneck’s, Sandy and Robby! Jack scored points in this SL at Bromont in Quebec! Will on the pitch at Devils Glen in Ontario! Many know that the name Okemo means "All Come Home" in the Native American language of the area's original inhabitants. To those of us who truly call Okemo home, the name is all the more fitting. Recently, two of our former student-athletes, William and Jack Beney, decided it was time to return "home" to wrap up their PG training before heading off to college in the fall. Will and Jack came to Okemo in 2010 when their family relocated to the U.S. from France. They had learned to ski and started their love affair with ski racing in the French Alps, but quickly found a new ski racing home in Vermont. The boys competed in the Okemo Competition Center program and then attended Okemo Mountain School for a few years before heading to high school at Burke Mountain Academy. Following graduation, the brothers enrolled in post graduate programs to continue their ski racing progression, working towards the ultimate goal of competing in elite level competition through their college years - and potentially beyond. Will is in his second PG year, Jack in his first. 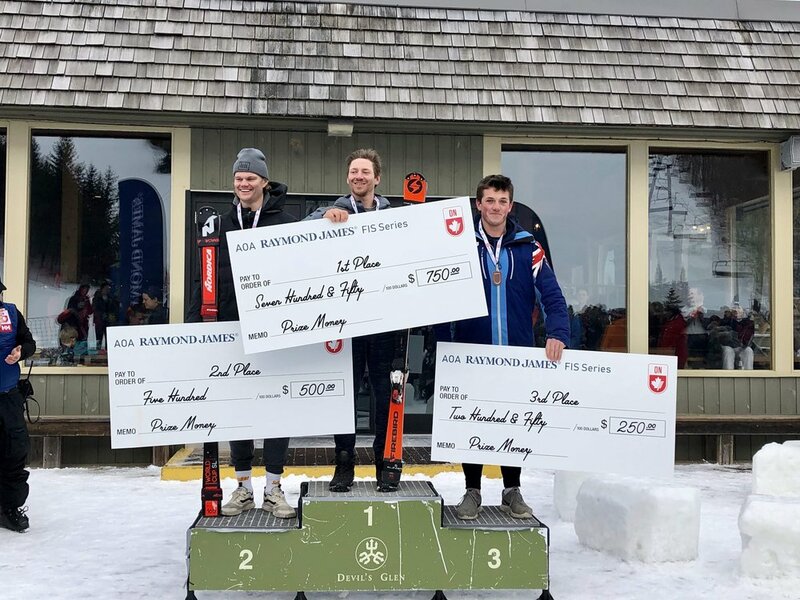 Feeling that perhaps "home" was the best place to support their ski racing ambitions and reinforce their fundamental passion for the sport, Will and Jack are once again racing for Okemo as PG athletes at OMS. Being “home” has proven quite beneficial for both boys. They settled in quickly here and rediscovered the joy of going fast on snow. While generally we encourage greater attention be paid to the process than to results, it is always encouraging when results ultimately validate the process. In recent weeks, Will has earned awards at FIS races in Canada - at one point sharing the podium with Redneck Racing’s, Robby Kelly and Sandy Veitz, both of whom have competed on the World Cup circuit. While at OMS, the Beney brothers have collectively “scored” in both SL and GS disciplines at least a half a dozen times already, improving their points by significant margins. What’s more, they are laying the technical, tactical, mental and physical foundation for continued advancement of their athletic goals over the coming years while competing for their college teams. After three successful Canadian road trips in Ontario and Quebec, Will and Jack now shift their focus back to the U.S. for the next several weeks, where together with another OMS athlete, Carver Provance, they will compete in FIS Devo Finals and FIS Eastern Cups at Sunday River, Stowe, and Burke. Will and Jack will also compete in U.S. Junior Nationals at Waterville Valley. We couldn't be happier to have the boys back home at Okemo and we wish them well in the final weeks of racing this season! U14 & U16 State Championships!